Chromebooks are so reliable, they go a long way towards putting consultants, like myself, out of business. That's progress. Never needing help from a techie is also great Defensive Computing. But even Chromebooks have problems, as I recently found out. Towards the end of 2013, I dealt with a non-techie whose ancient Windows XP laptop was acting up. His computing needs were very basic and, in the end, he bought a Chromebook. Other than an occasional "thank you" for suggesting a Chromebook, that was that. Until recently, when the Chromebook started having problems. The most noticeable issue was the error message above, "Your profile could not be opened correctly. Some features may be unavailable. Please check that the profile exists and you have permission to read and write its contents" which appeared every time the user logged on to the Chromebook. Along with this, the Chrome browser sometimes started out with a yellow stripe warning that it had not shut down correctly (shown above). Despite these errors, the computer seemed to work, but with a big exception. The main thing the Chromebook was used for was EarthLink webmail, and, it too, was having a problem. Images attached to email messages were no longer displaying. Instead, clicking on the image link opened a blank tab, with some internal EarthLink email URL. When I started poking around, I noticed another problem. In the Chrome Settings, there was a warning (above) that Sync had stopped working. In addition, the "Advanced sync settings" button was disabled. The first thing I tried was updating the operating system, but the Chromebook was running Chrome OS version 49 which was, at the time, the latest and greatest. Then I tried a different Chromebook. Interestingly, logging in to the second Chromebook, with the same Google ID and password, worked fine, as did EarthLink webmail. The users bookmarks were all there, as was their desktop background and saved EarthLink password. Clearly, the problem was not with Google or EarthLink, it was the Chromebook itself. But, was it a hardware or software problem? How to even tell? I know of nothing like CheckDisk for Chrome OS and SpinRite won't run on a Chromebook. I tried tweaking the system settings. Some suggestions for dealing with profile problems involved other users. In this case, however, the "Manage other users" button showed just one user on the Chromebook. A settings option called "Verified access" was enabled. I tried to understand what it is, but the documentation was useless. With nothing to lose, I turned it off. Didn't help. Yet another problem presented itself while I was trying to debug the first few. A couple times, after a cold boot and entering the Google password, the system hung. Fortunately, as with many other computers, pressing the power button for an extended period forced the system off. Clearly something was wrong with this Google user on this particular Chromebook. If the problem was the Chromebook itself, that would be a big deal. So, I gambled that the problem was limited to the Google user account and opted to wipe it out. 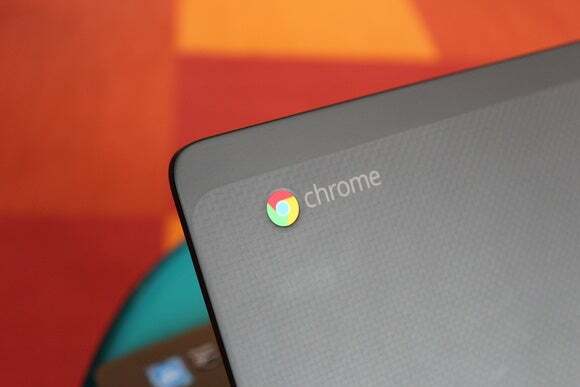 Chromebooks include a feature called Powerwash, that many articles say does a factory reset. It does not. An actual factory reset would restore the version of the operating system the Chromebook shipped with. Powerwashing leaves the operating system untouched, instead, it removes all traces of Google users. Powerwashing is great if you are selling or giving away a Chromebook. In this case, Google specifically suggests Powerwashing for "problems with your user profile." Bingo, I thought. The Powerwash is limited to the Chromebook itself. Files stored on the machine are removed, but those residing on Google Drive are not. The problematic Chromebook had 560 local files (i.e. in the "Downloads" folder), totaling 216 megabytes. I copied them all to a USB Flash drive without incident, but copying them to Google Drive was annoying. I had, at first, copied a few of the files to Google Drive, then I decided to copy all of them. After copying about 320 or so, there was an error that a file already existed and the copying stopped. At this point, its up to me to play Sherlock Holmes and figure out which files were not copied. As error handling goes, this is sub-optimal. Rather than give up mid-stream, Chrome OS should have an option to continue copying all the other files. And, while the copy operation was running, the display said something like "copying 99 items," which is not true. The number in the display constantly decreased, which means that what it should say is that there are 99 files left to copy. No mention is made of how many files are being copied in total or how many have been copied so far. Another annoyance with Chrome OS is that it does not report the total space used by local files. Sure, the Files app displays the size of individual files, and clicking on the vertical dots in the upper right corner shows the amount of available space (shown above), but there is nothing about the currently used space. I only learned that there were 216MB worth of files after having copied them to a USB Flash drive. In retrospect, since the total size of the files was so small, I should have created a new folder on Google Drive, copied all 520 files there, and then deleted the 320 from the partial copy. Instead, I made a backup of the 520 files on the USB Flash drive. The Powerwashing process is simple. Click on "Settings," then "Show advanced settings" and finally the Powerwash button. The system reboots, after which the actual washing took maybe six seconds. You then go through the initial setup, specifying your language, keyboard information and Wi-Fi password. I logged back in, to the newly washed Chromebook, as its owner, and all was well. There were no more errors about profiles that couldn't be opened and EarthLink webmail images displayed properly. The 520 files were copied from the USB Flash drive back to the Downloads folder and the Chromebook returned to its owner. All was well ... for a few days. Update May 17, 2016. I was reminded that while a Chromebook can not run Word locally, it can use the online version of Word, Excel and PowerPoint that Microsoft offers at Office.com.